Sky Pony is the children’s book imprint of Skyhorse Publishing, Inc., in New York City. Bethany Straker is an acclaimed illustrator whose work has been featured in numerous books, including Smelly Ghost, Ruby Moo’s Deep-Sea Adventure!, A Curious Robot on Mars!, Springy Chicken, The Spotty Dotty Daffodil, and The Funny Bunny Fly. She lives in Kent, England. 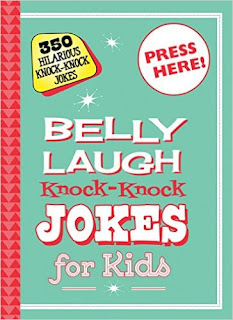 Belly Laugh Jokes for Kids is an absolute hoot! My kids love jokes so they absolutely adore this book. We've been laughing so much since getting this book and the kids are having so much fun entertaining their family and friends. There's 350 jokes in this book so you'll never run out. The laughing button on the front is so fun and my kids enjoy pushing it after they tell a joke. The illustrations are perfect and the jokes are all hilariously funny. This is the perfect way to encourage silliness! 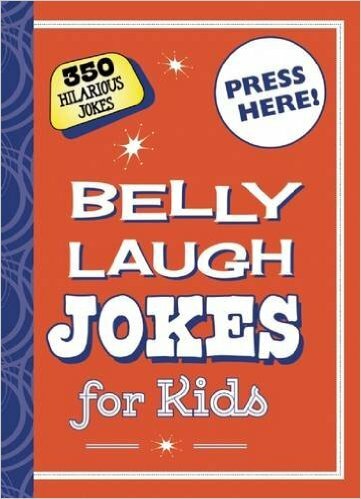 You can find Belly Laugh Jokes for Kids on Amazon, Barnes and Noble and other bookstores. Check out another fun book review!